Over the past year, I have become a big fan of the TV Show Shark Tank. 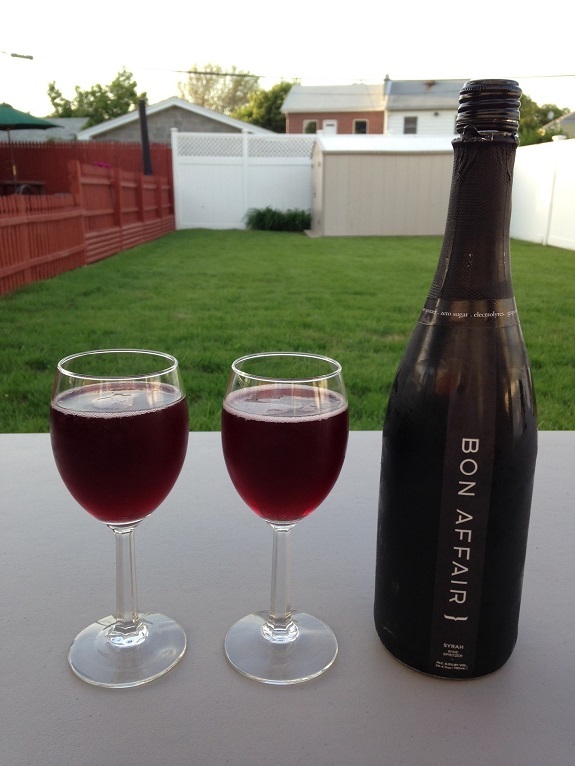 I was watching on May 9th and came across an All-Natural Wine Spritzer company named Bon Affair which contains 6.5% alcohol as well as electrolytes. 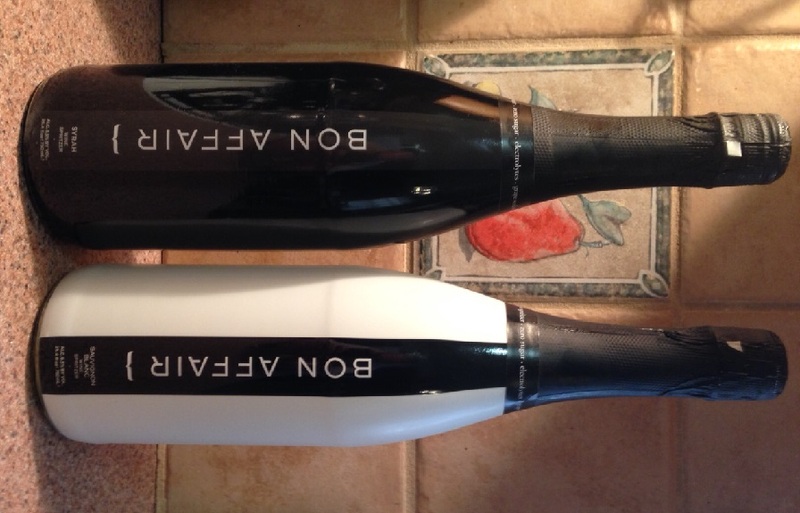 Currently Bon Affair makes a Sauvignon Blanc as well as a Syrah. I recently was provided with 2 bottles, one Sauvignon Blanc and one Syrah. Mark Cuban was the one shark that had faith enough in Bon Affair’s potential investing $150,000 for 35% of the company and even joked that worst case his wife could give them out at Christmas. My wife and I both enjoy our wines but the one complaint that my wife has is that depending on the brand, she may wake up with a headache in the morning. This was the reason I was quite interested in this product. My wife and I first tried the Sauvignon Blanc and though we are not as big into white wine as we are into red wines. That being said we both found it refreshing on a hot Memorial Weekend. You can drink it and you still feel great the next day, zero hang over. It was a big hit with both my wife and myself. After our a long Memorial Weekend and the last barbecue of the weekend we opened up the bottle of Syrah. After trying both the Sauvignon Blanc and the Syrah we were surprised how we enjoyed both quite equally. We recommend getting your own bottle if you enjoy your wine but are looking for a lighter version that will not have you feeling refreshed the next day. It’s perfect for summer drinking. Keep in mind this is not a replacement for a full bodied wine but rather a wine spritzer. Zero sugar. Zero, zip, nada. Bon Affair is currently available for purchase in 10 Whole Foods from L.A. to San Diego, and in 12 Albertson’s stores in the greater San Diego area as well as online to 43 states. The 750ml bottles sell for $15 each. Were you or are you a wine spritzer drinker? 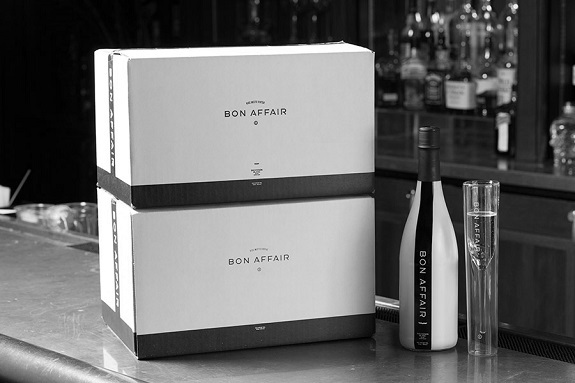 Have you tried Bon Affair yet? Would you give it a try? Let us know what you think? 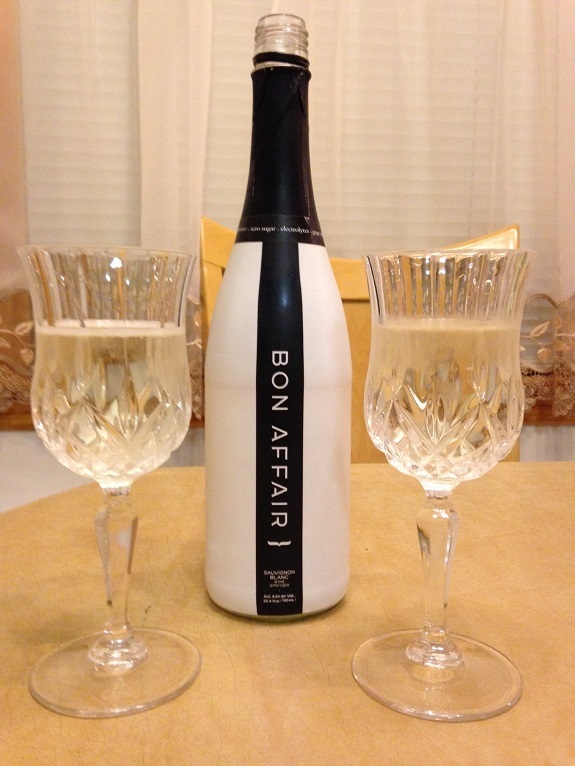 Disclosure: I received Bon Affair in exchange for my honest review. The opinions expressed in my review are my own. No other compensation was given. Next Post The Drop Proof iPhone? Great review. Can’t wait to try this. Thanks 3CityGirlsNYC. we are going to order some more for sure.